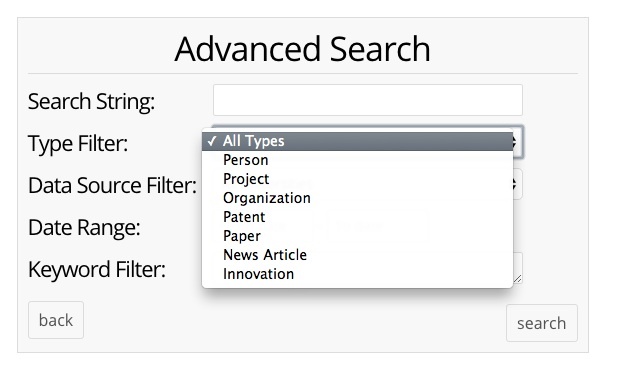 The Visible Legacy Navigator Advanced Search panel gives you more ways to filter your search results. You can open the Advanced Search panel from the Visible Legacy Navigator from the Learn More page User Menu. The results from Advance Search are returned in the Navigator search results page. Enter your topics of interest. Then click the search button. Navigator will search the titles of all the topics in the knowledge base. Your results are returned in the Navigator search results page. If you want to limit your search to a certain type of node, select it from the Type Filter drop-menu. 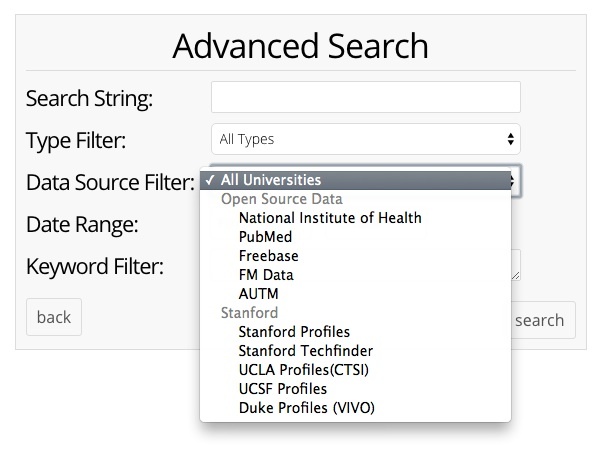 If you want to limit your search to a certain source of data, select it from the Data Source Filter drop-menu. We will be adding more sources going forward. If you want to limit the time period of the information in the knowledge base to be searched, enter the year-values in the Date Range boxes. For example 2013 in the From Date field and 2015 in the To Date field. If you would like to search for a specific keyword in the knowledge base, use the Keyword Filter box by itself or with other filters on the Advanced Search panel. 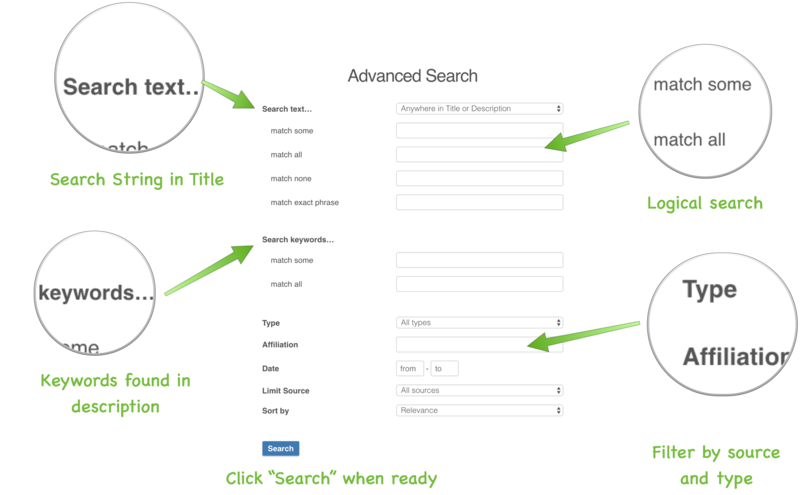 You can use the refine search button to open the Advanced Search panel and add more keywords to filter your search. Try these searches and examine the URLs. You can construct your own.